Chinese Herbs for Weight Loss That are Just Amazing For You! One of the most common problems today that are being discussed by many people at all places from a morning walk to a board meeting is “how do I lose weight?”. 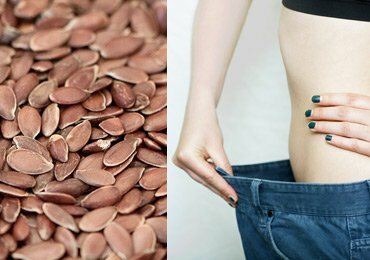 If you are one among those people who’s tried a lot of weight loss remedies but none worked for you, then you have landed in the right place! Say bye to all those expensive weight loss treatments! Because you need to note that if it’s not working, then it’s not working. Simple as that! You need to change your ways of losing weight for changed results! Or you’ll just be trying to place a square peg in the round hole with all your genuine efforts. We have listed some amazing Chinese herbs for weight loss that are easy to follow and works wonders for you. Yes! Time to go to ancient Chinese times! Read on! The Chinese are renowned for their medical developments till date. The medical practices of the Chinese which date back to 5000 years ago are still applicable even today! No wonder the Chinese medical practitioners derive their formulae for medicine from their ancestors. 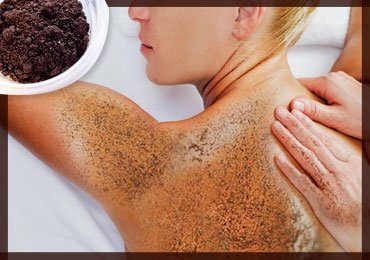 The best part about the Chinese medicine is that it suits accurately even for modern day to day health goals and can help us in having a healthy weight. We have listed some amazing Chinese Herbs for Weight Loss that are worth trying! 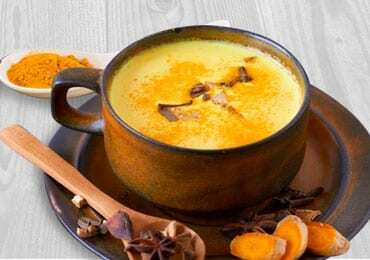 Why Should I Prefer Chinese Herbs for Weight Loss? The Chinese approach for weight loss can inhibit the production of fat. The Chinese herbs are just amazing to stabilize the metabolism rate. It enhances the peristalsis of intestine which in turn increases the stool clearance and helps in achieving a healthy weight loss. Chinese herbs are believed to increase the circulation of blood to a great extent. 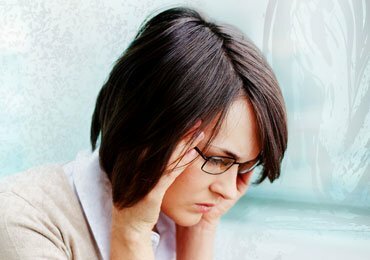 To add on to the list is the acupuncture techniques which when applied in parallel to the usage of herbs can do wonders! That was a small list which says why the Chinese herbs can be preferred. The Chinese herbs that we have listed down below with their uses and application techniques will reassure you why Chinese herbs are amazing! 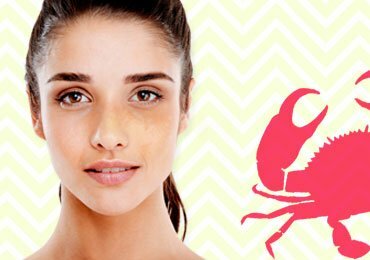 Moving one step forward you will be totally convinced once you see the magic yourself after you apply these techniques! No more ado! Let’s get started! 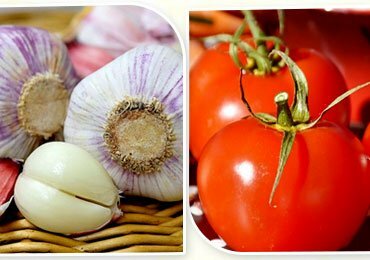 The most natural form in which you can intake nutrition is directly from herbs. These herbs are surely going to come handy when you are trying to lose weight in a healthy manner. If the thought of ” how come the ancient people were never facing problems of obesity?” has crossed your minds, then you would have definitely deduced that their eating habits were way different from ours! No junk food, no burgers, no pizzas on the menu see! The ancient folks were believed to include a lot of natural herbs to their diet which kept them at bay from obesity. Don’t believe me? You can ask any of your friends who’s lost weight about their diet routine. You will definitely hear some natural herbs being included in their diet. So I have listed some top Chinese herbs for weight loss that if followed regularly will surely help you get rid of your overweight problems! These herbs will not just help you reduce your weight for a short period of time but will have a long lasting effect as well. Here we go! 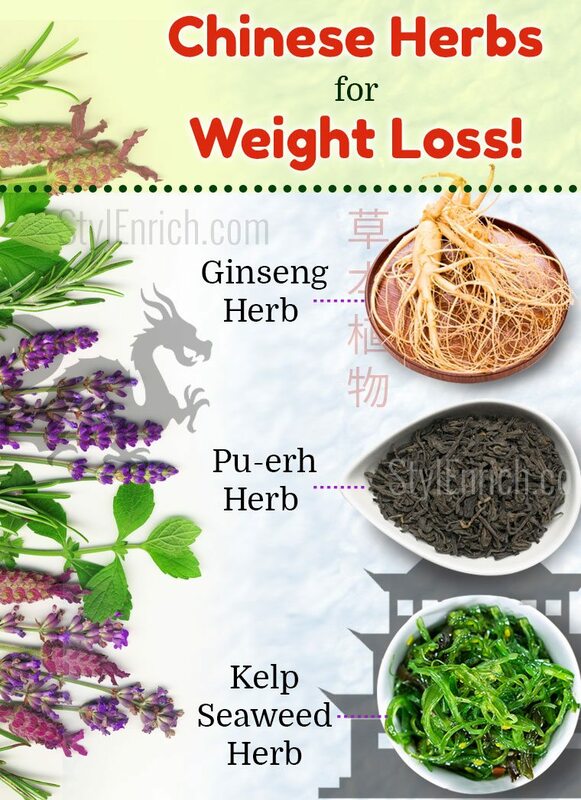 So I have listed some top Chinese herbs for weight loss that if followed regularly will surely help you get rid of your overweight problems! These herbs will not just help you reduce your weight for a short period of time but will have a long lasting effect as well. Here we go! This herb is an old medicine which was followed by the ancient Chinese folks. It was used for it inherit advantages like stamina, energy and for overall health benefits. Ginseng herb has an element called adaptogen which is known to improve the capability of our bodies to coordinate and smartly cope up with environmental, emotional and the physical stress. These herbs are found both in dried forms or as a fresh bushy herb. The roots of Ginseng herb is the most crucial part of the whole herb that has adaptogen in large quantities. While the leaves of this herb are no less. They are also added to the normal diet in various forms like food, daily tea etc. 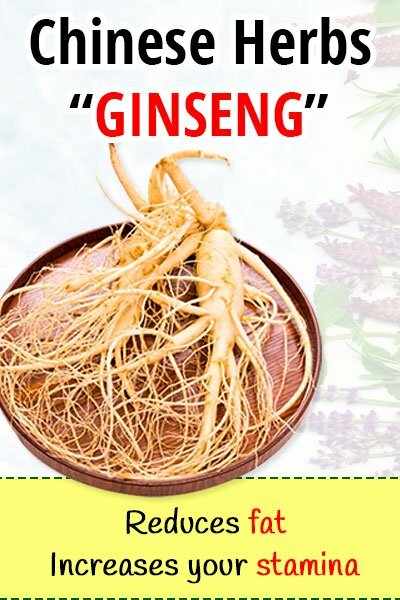 The main quality of Ginseng herb that helps in weight loss is that this herb has an ability to make the cells of our bodies less capable of making the fat deposit. In simpler terms, this herb reduces the fat storing capacity of the cells. Therefore no room for unnecessary fat in the body! Only healthy fat is stored in our bodies thus helping you to part ways with obesity. The main quality of Ginseng herb that helps in weight loss is that this herb has an ability to make the cells of our bodies less capable of making the fat deposit. In simpler terms, this herb reduces the fat storing capacity of the cells. Therefore no room for unnecessary fat in the body! Only healthy fat is stored in our bodies thus helping you to part ways with obesity. There are 2 specific ways in which Ginseng helps to lose weight. It increases your stamina that makes you more active and helping you to burn more calories. This is what most gyms try to do right? It will increase the metabolism rate of your body. So when you eat food, you are actually storing less fat as compared to times when you don’t intake Ginseng. How Do I Include Ginseng In My Diet? The best way to include Ginseng herb in your diet to lose weight is to make Ginseng tea. It does not take much time to prepare this tea and is absolutely tasty too! So you can enjoy losing weight see! To get started, you need to get 3 tbsp of ginseng dried roots. Boil some water in a cooking pan and once the water is hot enough you can add Ginseng roots to it and let it simmer for about 30 minutes. Strain the tea from the pan and you can add honey to it so that the bitterness is reduced and voila! Your Ginseng tea is ready to sip in! Drinking this tea in the early morning not only helps you to lose weight but also gives a perfect start for your day! Dated back to 2100 years ago, the Pu-erh herb is an age-old herb that was included by Chinese in their daily diet. It was first cultivated in the village of Pu-erh. Thus the name! 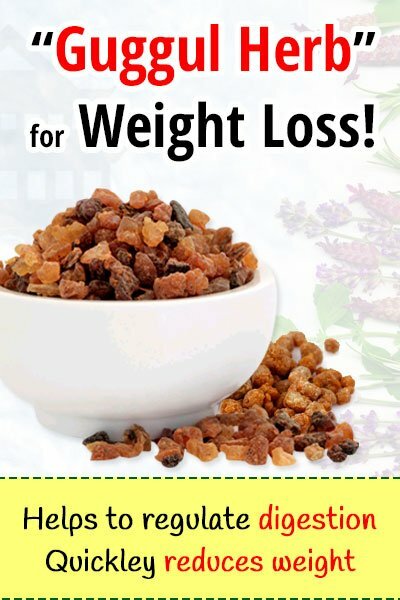 It is another magic herb that helps you lose weight very soon and in an effective manner. This is one of the best Chinese herbs for weight loss. What it does basically is to stimulate the spleen making it healthy so that it can absorb and digest the nutrients present in the food along with discharging the excessive fatty fluids present in the food. 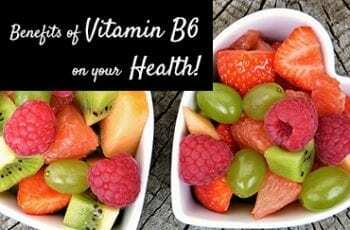 Besides it also increases the metabolism rate so that your body can burn the excessive fat and only healthy fat that is required by your body is preserved. There are basically 2 types of the Pu-erh herb: one is the raw herb and the other being ripe. Both of them works for weight loss. Both of them are of varying importance in helping you lose weight. Thus including both of them in your diet routine is a better idea! However using any one type of Pu-erh herb will also do the trick! This herb tops the list if we were asked to list down some best Chinese weight loss products. It is a very simple procedure and can be done in almost no time! You will need 1 tbsp of fresh Pu-erh leaves to get started. Heat water till it boils. Add these leaves into it and let it boil for some more time. Once you feel all the essence of the leaves is being absorbed by the water, you can drain and drink it. You can sip in this tea everyday replacing your normal tea or coffee. For best results, you can do this twice a day for about 2 to 3 weeks. This is yet another magic herb for weight loss which was extensively used by not just the Chinese but also the Japanese. This herb is used till date by the folks of Japan and China as their favourite tea time partner. It keeps these people not just at bay from obesity but also helps them lead a healthy life. So what does kelp seaweed actually do? What makes this herb a magic herb for losing weight? There are 2 main ways in which kelp seaweed does the trick! This herb has a special compound which is called alginate. This compound reduces the fat absorbing capacity of your body. Do I have to elaborate the aftermath? Yes! By reducing the fat absorbing capabilities, the very possibility of fat accumulation is avoided and thus helping you to lose weight. This herb has iodine in rich quantities. What does Iodine do? Iodine helps to stimulate the thyroid gland making your metabolism rate constant. Thus it, in turn, helps to burn out the unnecessary calories. How to Include It In My Diet? The kelp herb dried powder is available out there in the market. You can get those and use it for seasoning in your dishes. You can chop some cucumber, onions, carrot and add some fresh chopped leaves of kelp seaweed to it and have it as a delicious salad. If you are the fan of soups, you can also add kelp seaweed to it which adds some texture to it and gives it the essence of salt. 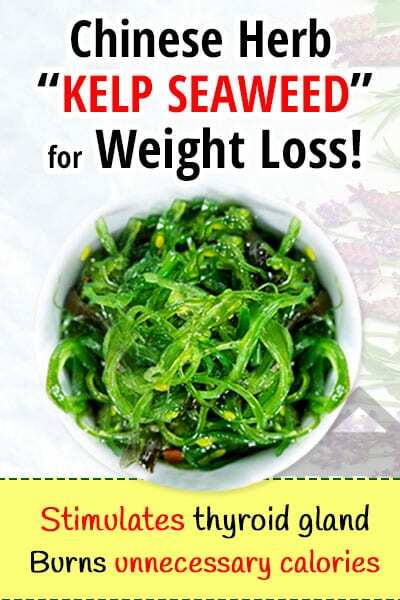 One important thing to note here is that although kelp seaweed works for healthy weight loss, you should be cautious and not overuse this herb. Overusing this herb might lead to hyper activeness of thyroid gland posing some serious health problems. Thus use it to a limited extent. Using it in limited extent will surely help you in losing weight! Gurmar leaves is another widely used Chinese herbs for weight loss. This herb is more of an Ayurvedic medicine which is still used by many people for its inherit advantages. It is also known to treat many diseases like obesity, kidney stones, and diabetes. It is the best stimulant for digestion. It is known for its anti-sweet qualities that are to say it makes your taste buds insensitive to the taste of sweet. So if you are the great fan of sweets but want to avoid the irresistible force that pushes you to just grab them and savour them at that point of time but later regret as it puts on your weight, then this herb is tailor made for you! No point in repenting later after you’ve consumed all the sweet calories see! When you chew the fresh leaves of gurmar you cannot taste sweet or cannot sense the sweetness for around 3 hours. So staying away from sweets means staying at bay from obesity. This herb can instantly reduce the sugar cravings you have! This is famous Chinese medicine to lose weight till date! So worth a try! How to Include Gurmar Leaves? You will find the powdered gurmar leaves in the market. You can take those and add it as a supplement to your daily tea. Add it in little quantity if you don’t want to savour a bitter tea! You can use it as a flavouring powder to your regular salads. You can also make a quick juice out of it by adding the powder to water with some honey for neutralizing the bitter taste. However, some bitterness would still remain. No pain no gain see! This is yet another ayurvedic medicinal herb used by ancient Chinese and also Indians. The Guggul herb contains guggulsterone which is a steroid that is believed to be anti-angiogenic and containing a cholesterol lowering element. While there are a lot of people who are obese due to the accumulation of cholesterol in their bodies, this one is best suited for them! It reduces the cholesterol levels in your bodies and burns down the excessive unhealthy cholesterol making you part ways with obesity. 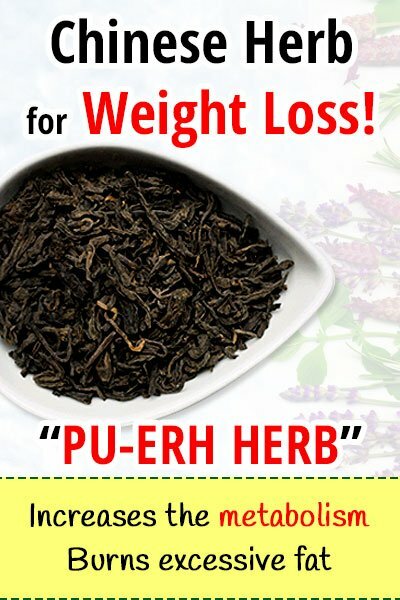 This herb is recommended by the herbalists as one of the best Chinese herbs for weight loss. Guggul herb also stimulates the thyroidal activities which are responsible for fixing the rate of metabolism in our bodies. Once the metabolism rate in your body becomes constant, weight loss becomes much simpler and quicker! Adding to this is the ability of Guggul to help you in better excretion. Thus the digestive and excretory processes also are well regulated by this herb. The extracts of this herb are easily available in Ayurvedic herbal stores in the form if tablets. You can take these tablets after your breakfast and supper followed by a warm glass of water. Why use warm water is that it helps in the better dissolving of the tablet so that the tablet can react well and show you results. It is however recommended that you consult a herbalist before taking these supplements. You can also consult an Ayurvedic doctor before you start including these tablets in your diet. Those were some amazing Chinese herbs for weight loss. The regular usage of these herbs will not just help you lose weight but also benefit you by helping you have a good health! What’s the whole point of trying expensive treatments when they aren’t working for you? Time to ” Go herbal!” These magic medicinal herbs will surely speak louder than those expensive weight loss treatments you undergo! The best part of using Chinese herbs for weight loss is that they are not really expensive and they don’t come with any side effects! Incorporate these herbs in your daily life and you will be amazed to see the results yourself! 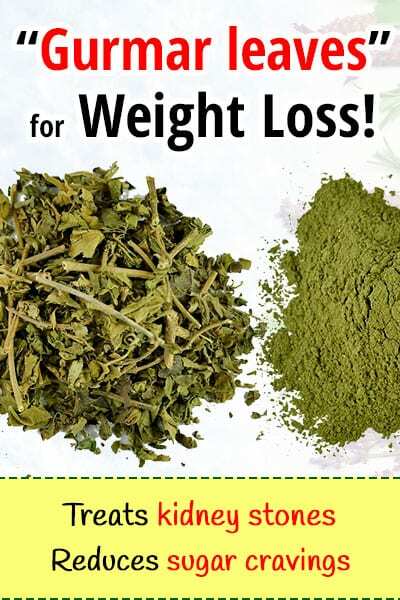 A healthy weight loss is definitely possible if you’re using these herbs on a regular basis. Also, give sufficient time for these herbs to show their magic! Be patient enough when you’re trying out these herbs and you will soon embrace a healthy weight! These Chinese herbs for weight loss will do the trick!